Home » Games » Celebrating the end of 2018: Top 10 Best Games of 2018! 2018 is nearly reaching its end and to certain extent, 2018 is a great year for gaming with lots of incredible titles like Monster Hunter World, God of War, and Red Dead Redemption 2. These games are so fantastic and they totally raise the game quality standard to a new bar. So with no further ado, let’s check out the top 10 best games of 2018! 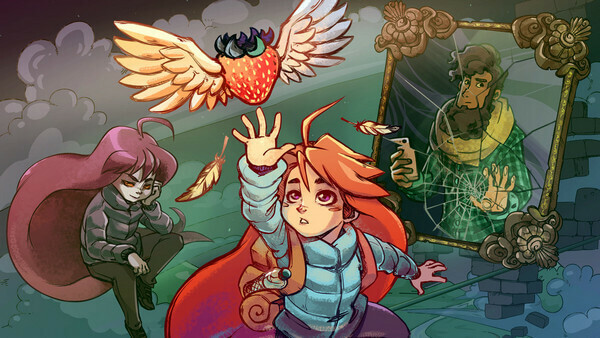 Celeste is the winner of the Best Independent Game Awards 2018 and therefore, obviously we have to put it onto this list. In summary, Celeste is a 2D-pixel platforming game which tells the story of a young girl named Madeline who struggles to reach the peak of Celeste Mountain. Gameplay-wise, the game is really fun and challenging (in a good way). The 2D pixel graphic design is vibrant and beautiful with surprisingly diverse environments. On top of that, Celeste actually has a compelling story with meaningful message underneath. If you’re tired of AAA gaming landscape nowadays, you definitely need to give this game a try. Octopath Traveler is a cool throwback to the SNES era but in a more exciting, novelty way. It is a JRPG from Square Enix and if you’re a fan of JRPG games, you probably know how good Square Enix is with traditional JRPG formula. 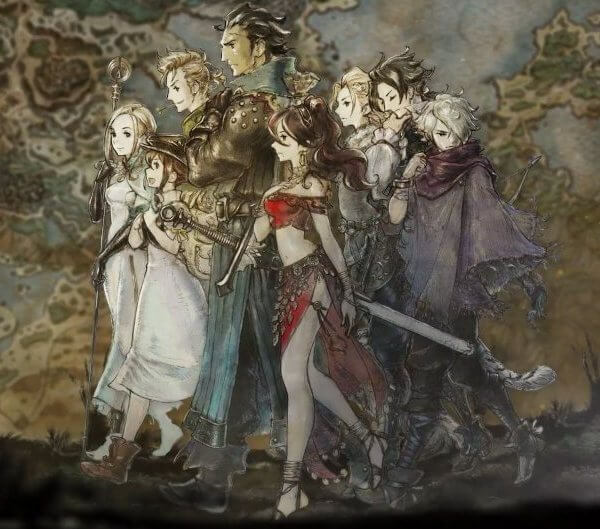 The game tells a story of 8 different characters (hence the name “Octopath”), each have his/her own unique background story as well as unique Job and skillset. The very first thing you will notice from Octopath Traveler is how beautiful this game looks. Despite its 2.5D-like pixel design, the game looks absolutely beautiful, along with various areas and environments. Combat is also the shining point of the game by featuring 2 major mechanics: Boost (which multiply any Skill’s attack power) and Break (which basically focuses on breaking enemy’s weak-point to make them vulnerable and unable to do anything). Each character also has his/her own unique ability called “Path Action” which can greatly change how each character plays and progresses in story. And thanks to its vast replay-ability, don’t expect to just finish the game with one playthrough. Start a new game with a different character and you will be in for a new treat! This year we have got to see a number of awesome fighting games like SoulCalibur 6, BlazBlue Cross Tag Battle, etc… But this time, we have to give the “best games” credit to 2 most prolific fighting games this year: Dragon Ball Fighter Z and the game “you-probably-know-what”. Starting off with Dragon Ball Fighter Z, this game was first released on January 26 and developed by Arc System Works (and oh boy they really nailed it with this game). 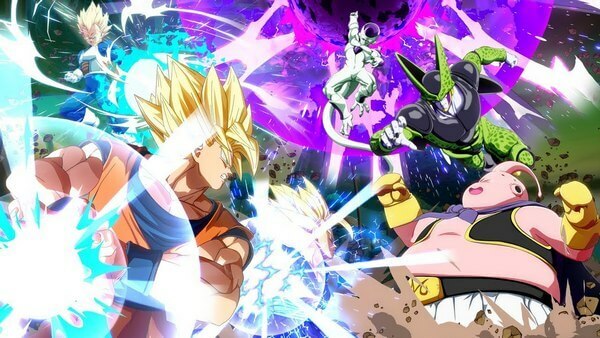 Not only has this game brought back nostalgic characters from people’s childhood like Goku, Vegeta, and Frieza, it has also made these characters come to life with awesome fighting mechanic, sleek animation, and awesome visual effects. Arc System Works has truly perfected their craft with this game’s fighting mechanics. It is approachable for newcomers and fighting-game beginners, and also, it has lots of depth for pro-players to master and compete with each other. 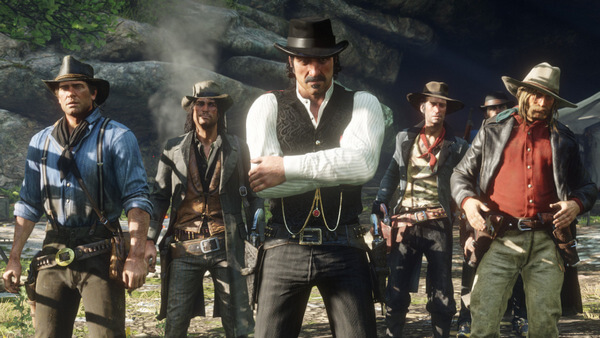 Personally, our only gripe with the game is how they deliver the single-player story campaign. But that said; such downside will not throw you out of the experience and you will surely find lots of good time with this game, whether you’re beginners or professionals. Assassin’s Creed Odyssey is a daring move from Ubisoft this year and judging by many reviews, comments, and nominations, it’s safe to say that their daring decision finally paid off. 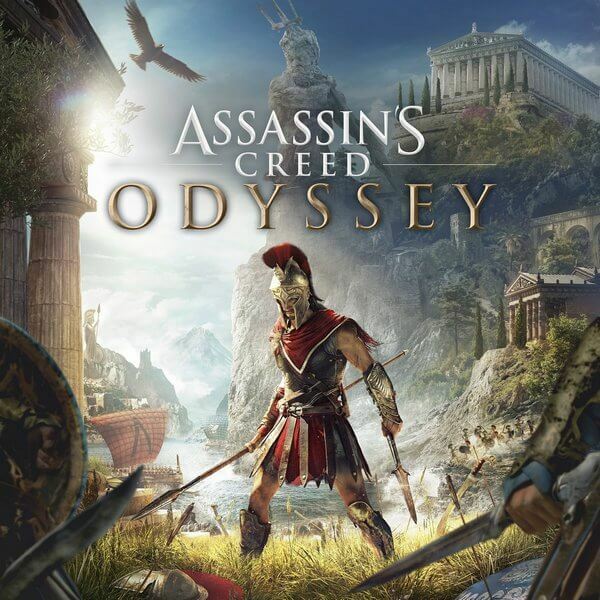 Unlike previous AC titles, Assassin’s Creed Odyssey is a full-blown RPG which combines the franchise’s historical aesthetics with a solid RPG and open-world system. For the first time of this series, players are able to choose between 2 characters: Alexius and Kassandra. And although they do share the same storyline, each of them does have unique look as well as different dialogues. The RPG aspect (which actually introduces before in Assassin’s Creed Origins) has returned and got expanded further. And just like any RPG game, AC Odyssey also modifies their questing formula, introducing multiple endings, multiple quest-pathing choices which can actually change the outcome of the world. That being said, the biggest gripe with the game is how long and grinding it can be. Now to be clear, many players do not find this game to be excessively grindy, but we have also seen many others who don’t like such grinding design. In other words, if you don’t like grinding aspect in general, you will probably have a hard time enjoying AC Odyssey. Within the past few years isometric RPG games have been flourished thanks to a number of incredible titles like Pillars of Eternity and Divinity Original Sin. 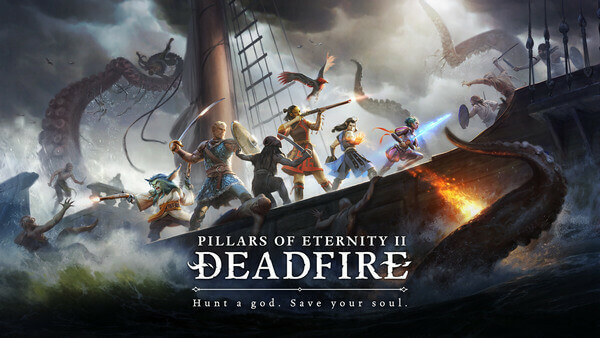 And this year, Obsidian Entertainment continued to satiate the “hunger” from isometric RPG fans with a new sequel: Pillars of Eternity 2 Deadfire. In the essence, the game still shares the core gameplay mechanics like many other CRPGs: isometric map, interactive environment, long and twisting quests, etc… Yet on top of that, Pillars of Eternity 2 Deadfire brings on a new addition: sea-travel and pirates! Players now can control and customize their main transportation of the game: a “pirate ship” called The Defiant which allows players and their crew travelling to many mysterious and intriguing islands. Not only that, there is also a crew & ship management element including: providing resources like water and food, taking care of the crew, dealing with internal conflicts, and customizing your ship. In addition, there is even ship-battle element which is totally unexpected! Of course, we still have the exploration element, which is absolutely cool in this game given the idea of islands travel. There are many areas to visit and discover, lores to uncover, and badass monsters, bosses, and quests to overcome. Pillars of Eternity 2 Deadfire is truly a treat for CRPG fans and a nice entry to the CRPG genre alongside with last year’s masterpiece Divinity Original Sin 2. To be honest, it is somewhat kind of sad when Marvel Spider Man PS4 did not win any game award this year. However, anyone who has played the game will agree with us that this game is a massive hit. 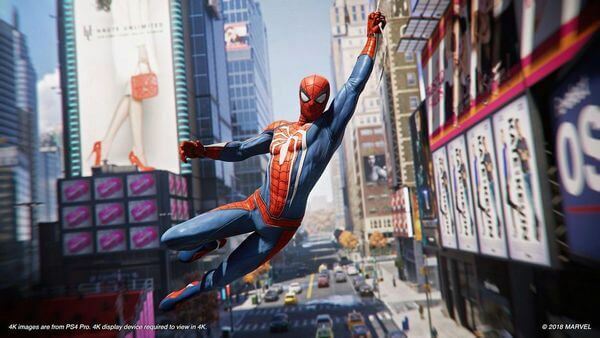 It is both an incredible PS4 exclusive title and also, a glorious return of Spider Man game after all these years. Being freed from any restrictions from the past, Insomniac Games was able to craft their own take of Spidey’s story. And finally, what we have is a familiar, yet new and fresh storyline of the fans’ favorite Peter Parker a.k.a the Spider Man. The story is told from both perspectives: Peter Parker as a normal, somewhat quirky young man, and his Spider Man persona who is revered as the hero of New York City. Peter Parker’s story is deep and compelling, filled with many funny as well as heart-touching moments. The gameplay is fun and complex enough which encourages players to be creative to overcome various opponents and situations. Currently the game has released all 3 of its DLCs and if you haven’t checked out this game, now is the good time to become Spider Man! Being the Best Role-Playing Game 2018, clearly we cannot just ignore Monster Hunter World – one of the most outstanding games released this year. For those who are not familiar with Monster Hunter series, it is a somewhat niche franchise which focuses on… hunting various monsters. And with Monster Hunter World, this franchise is now widely introduced to the whole world and it showed why many people have been so into this series. 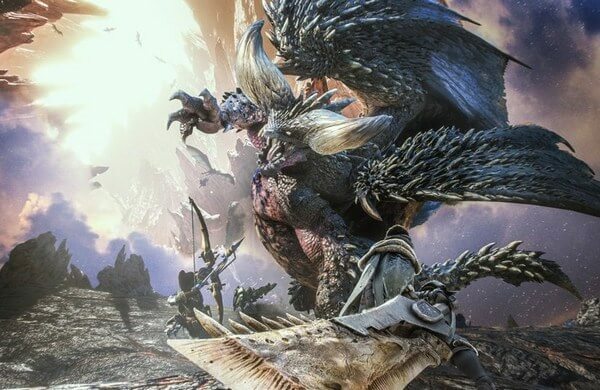 Thanks to the power of Xbox One and PS4, Capcom was able to create a gorgeous, fantastic world where players can band with each other to hunt for the most exotic, most dangerous beasts of all. It successfully brings the Monster Hunter’s unique gameplay to the larger community while at the same time, being able to maintain its delightful complexity. And finally we have to mention the Elder Dragons which are the most challenging bosses/monsters of the game. Every single Elder Dragon looks outstanding and menacing. And of course, no Monster Hunter World players can resist the desire of acquiring some of these dragons’ best gears of the game. 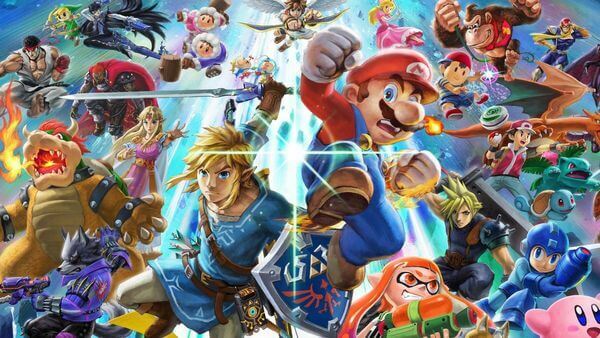 Developers: Bandai Namco, Sora Ltd.
Super Smash Bros Ultimate is arguably the most anticipated title for Nintendo Switch in 2018. In the past, Super Smash Bros has already gained tremendous reputation among fans with its fun gameplay, along with one of the best rosters in fighting game to date with famous Nintendo characters ranging from Mario (from Super Mario), Link (from The Legend of Zelda), to Pikachu (from Pokemon). And with Super Smash Bros Ultimate, the already-amazing roster has now even more expanded with even more exciting characters like Ridley (from Metroid), Snake (from Metal Gear Solid), and even Joker (from Persona 5 as DLC)? This is definitely the biggest crossover roster in Super Smash Bros series indeed. So if you have Nintendo Switch, don’t hesitate to have some great fun in Super Smash Bros Ultimate! The final moment when God of War was announced to be the Best Game of the Year 2018, we bet that lots of people went wild by such “dramatic outcome”. Yet to be fair, both God of War 4 (or God of War 2018) and Red Dead Redemption 2 are arguably equal in terms of quality. Each of them excel in their own design and both of them deserve to be the two best games of 2018. Back to God of War 4, this title is truly a huge leap of faith for God of War series and Santa Monica Studios as the whole. By drastically changing the setting of the game (from Greece to Norse Mythology), its story, and its gameplay, God of War earns its credit as one of the most successful sequels to date. Its gameplay has been changed from insane, fast-paced combat in previous games to a slower, yet more strategic and impactful design. 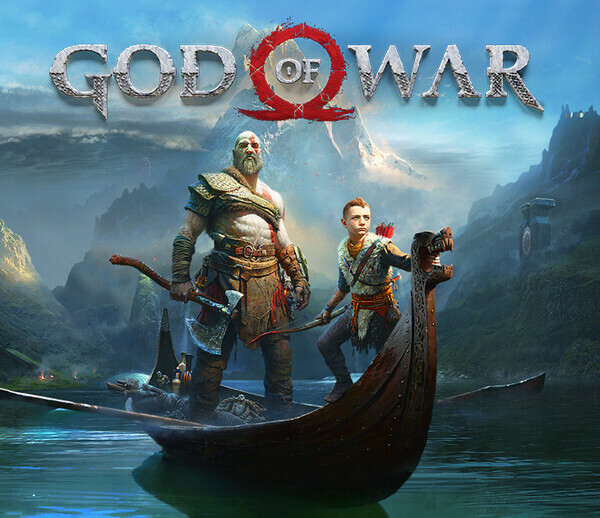 Story-wise, it focuses on Kratos’s story and development more than ever with his son Atreus. There are so much emotional moments throughout the story and together, they further deepen the good ol’ protagonist Kratos we have already known and love. Judging by the game’s ending as well as Santa Monica Studios’s respond, we can expect at least one sequel to this God of War 2018 and we can’t wait to see Kratos and Atreus wrecking Asgard. And that’s it folks! What are your top 10 best games of 2018? Feel free to share with us and for now, thank you and stay tune for more news in the future!